This document should only be used for DEV/Sandbox installation purposes. 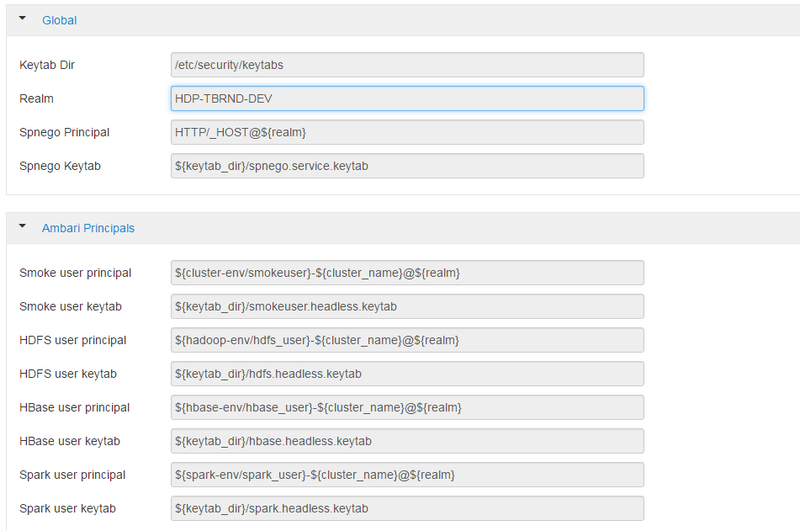 It is useful to help quickly Kerberize your Hortonworks sandbox so that you can test Kerberos features. Java must be installed on all client nodes. Create a java Test.java and paste below mentioned code in it. Run test. The expected number is: 2147483647. On a cluster, go to the master node for installation of Kerberos utilities. 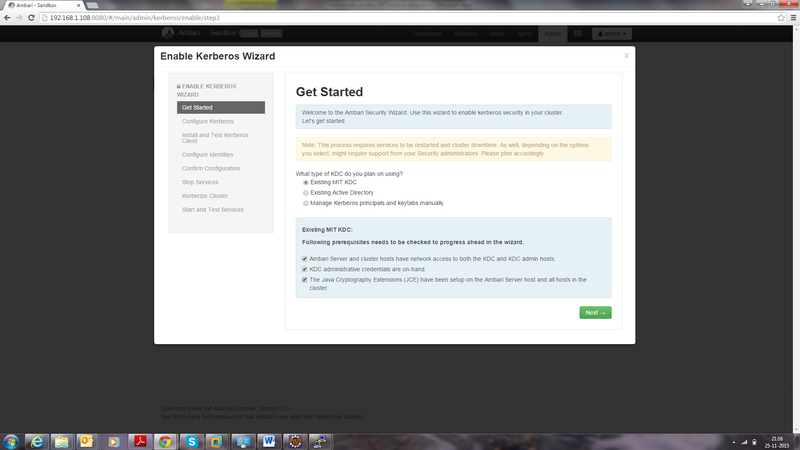 Change the [realms], as below, to sandbox.hortonworks.com. Update KDC and Admin Server Information. Update /var/kerberos/krb5kdc/kdc.conf. Change the [realms] as sandbox.hortonworks.com. 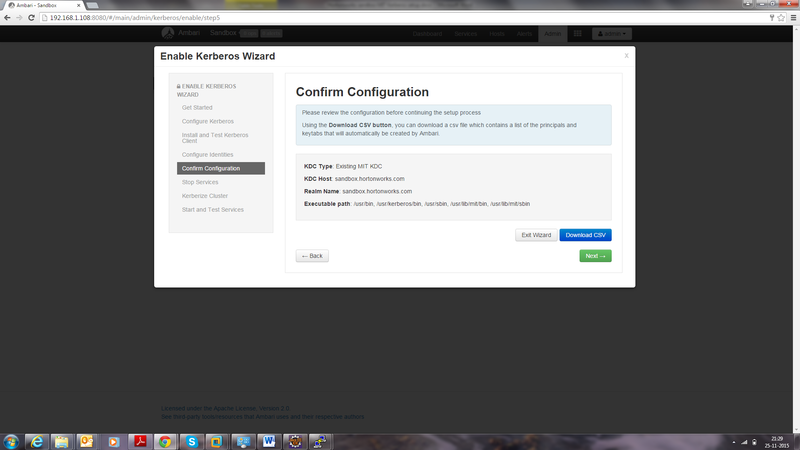 Update /var/kerberos/krb5kdc/kadm5.acl and replace EXAMPLE.COM with sandbox.hortonworks.com. Create the Kerberos Database. Use the utility kdb5_util to create the Kerberos database. Enter the password: thinkbig. Start the KDC. Start the KDC server and the KDC admin server. When installing and managing your own MIT KDC, it is important to set up the KDC server to auto-start on boot. Create a KDC admin by creating an admin principal. Enter the password: thinkbig. After editing and saving the kadm5.acl file, restart the kadmin process. Create a user in Linux by typing the adduser command as shown below. We will use this user to test whether the Kerberos authentication is working or not. 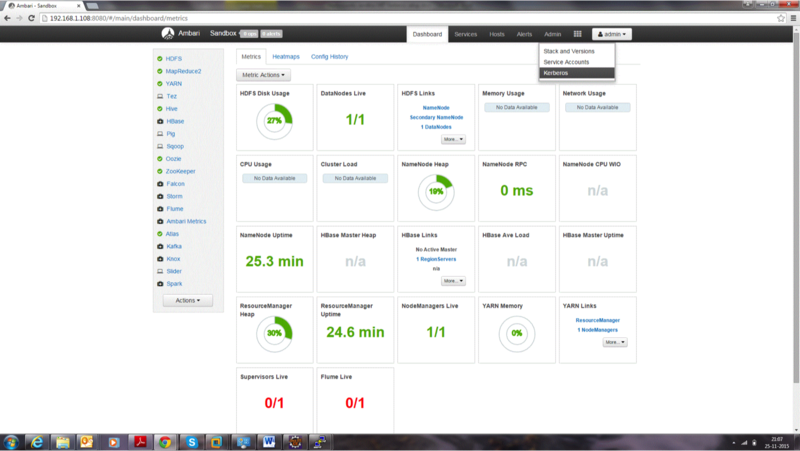 We will first run the command hadoop fs -ls / but switching to this user. And we will run the same command again when we enable Kerberos. Open Ambari and then go to admin tab and select Kerberos. Click on enable Kerberos. Then following screen will display. Tick the checkboxes as shown in this screenshot, then click Next. Put sandbox.hortonworks.com in the KDC tab and click to test the KDC connection. Then, in Kadmin, put sandbox.hortonworks.com as host and admin principal as *admin/admin@sandbox.hortonworks.com*, and enter the password created in step 7. Leave the advanced Kerberos-env and advanced krb5-conf as it is. And click Next. Download the .csv file and save it. Click Next through the end of the process, until finally you can click Complete. Make sure all services started properly. 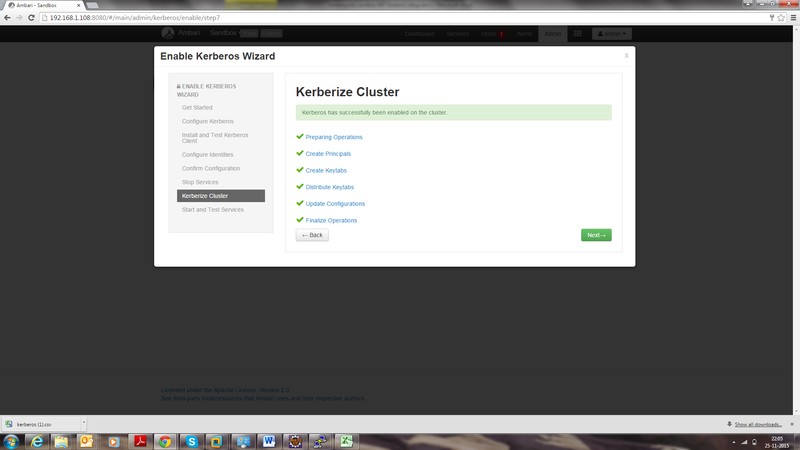 Kerberos is successfully installed on the cluster.